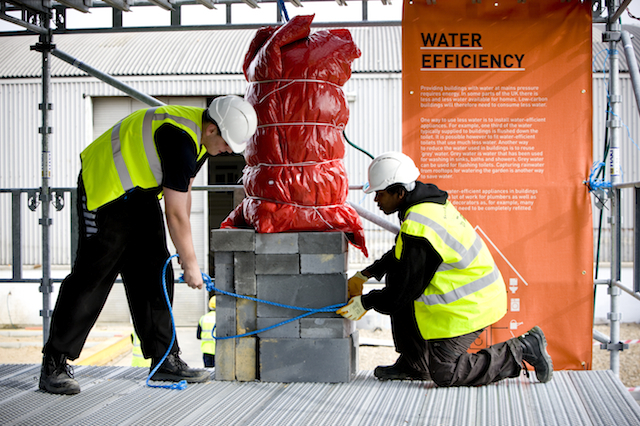 Low Carb was a two-day construction event designed to encourage unskilled and unemployed Londoners to make the most of the employment opportunities in the burgeoning low-carbon construction sector. Forty-five participants, split into two teams, were given an array of low-carbon technologies – solar thermal water heaters, PV panels, super-insulation – and brief to a low-carbon shower unit. Participants organised themselves into teams, some more effective than others! As well as giving the participants valuable work experience, they also had the chance to meet representatives from local FE colleges to find out how the skills they need to get employment in the burgeoning low-carbon construction sector. People at the Big Rig can refer to information panels to help them understand how to use low-carbon technologies to build their shower system. 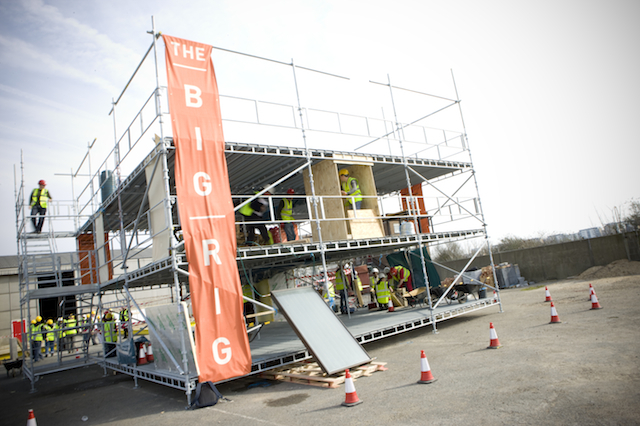 Low Carb, designed for Podium Skills London, was hosted in the Big Rig, a three-storey scaffolding cube conceived by Think Up as a flexible and robust environment for action-based learning. For this event, the Big Rig was plumbed up to spray water – rainwater for the participants to capture and feed into their shower systems. 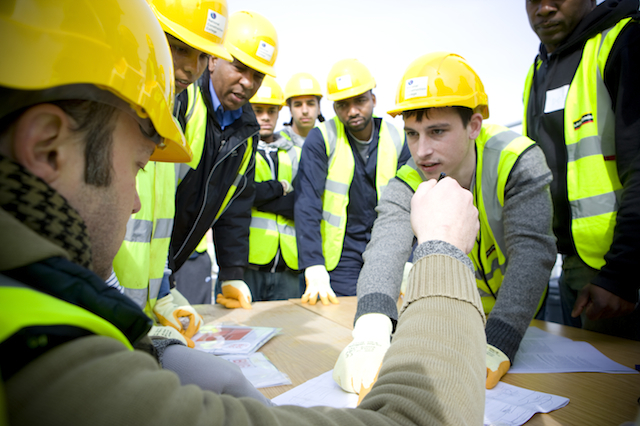 The event was run in conjunction with the National Construction College, Newham. 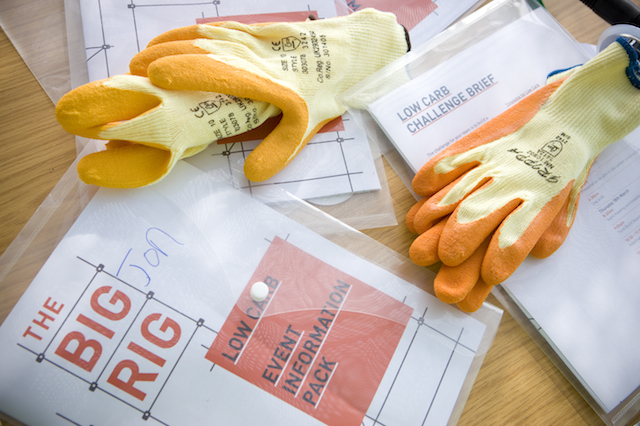 The visual identity for the Big Rig was designed by our sister company thomas.matthews, whose work included designing the Big Rig’s information panels and briefing packs.